Yggdrasil has reached an agreement regarding its deal with the owner of Gala, Coral, and Ladbrokes, GVC Holdings. The deal is going to provide each of these casinos with a broad portfolio of slot machines. Ladbrokes and Coral have a significant share of the UK gambling market with an extensive grid of betting shops. As for Gala, it is the leading name in the bingo market of the United Kingdom. Together, they make one of the biggest high street bookmaker and gambling operator in the United Kingdom, which has licenses in more than twenty regulated markets around the world. 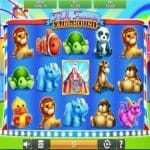 The customers of these brands are going to gain access to the full slots portfolio of Yggdrasil Gaming. The collection includes some of the top hits, as well as the latest releases by the developer. These include Baron Samedi, Trolls Bridge, Hanzo’s Dojo as well as classic titles by Yggdrasil such as Vikings. The casinos will also be able to enjoy a wide array of in-game promotional tools, from the exclusive range of Yggdrasil’s, which will help them to offer promotions from the game client itself. The CEO of Yggdrasil, Fredrik Elmqvist, stated that this agreement is a significant one, and it includes some of the big names in the gambling industry, especially in the United Kingdom. He added that they are thrilled that they announced it before the largest gaming event in Europe, Ice London. 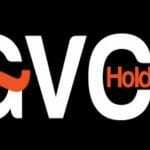 On the other hand, the CPO of GVC Holdings, Liron Snir, stated that they are more than delighted that they can enhance their offerings to the Coral and Ladbrokes customers with the progressive slots portfolio of Yggdrasil. These games have high production values, with innovative features and more. He added that the collection has already made its name and that it is a highly popular option among customers around the world’s regulated gambling markets. In other gambling news from Canada, The AGLC (Alberta Gaming, Liquor, and Cannabis) agency, is looking forward to expanding its services to include online gambling, which is a move that aims to keep the agency relevant to the residents of Alberta. The Canadian agency has sent an RFP (Request for Proposal) for a contractor who can provide online gambling services. The proposal stated that the residents of Alberta already spend more than 350 million dollars a year on gambling on unregulated sites. The RFP said that an online gambling website is going to help capture a piece of the annual spending of the Albertans on illegal gambling sites. The spokesperson of the AGLC, Angelle Sasseville stated that internet gambling is not a new thing, and many residents of Alberta always pay a lot of money on offshore-based websites. The document also noted that online gaming would allow the AGLC to pursue new revenue chances, beyond its usual land-based operations. It also added that it would be able to offer a regulated site that will provide a secure service, with age-verification procedures, which will prevent minors from playing at these sites.